A small Himalayan kingdom with an amazing geographical and ethnic diversity, an ancient civilization with rich and colourful cultures and traditions. It borders with Tibet Autonomous Region of the People’s Republic of China to the north and with India to the east, west and south. Nepal is only about 800 Km long and about 200 Km wide where it’s fascinating landscape varies from the Lowland jungles of the Terai to the high Himalayas forming many chains of hills and mountains in an east-west direction. The Nepal Himalaya forms the central part of the Great Himalayan Range with eight peaks above8000 mts. including the world's highest Mount Everest locally called "Sagarmatha". 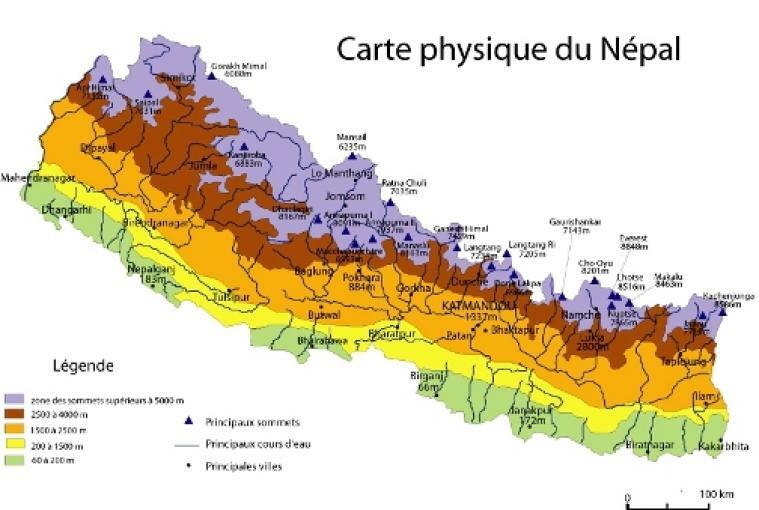 Nepal's population is around 24 million, of which the majority live in the Terai and the middle hills region. The rest of the population live in remote villages, some of them even at an elevation of 4000 mts. For people living in these remote villages where motorable roads don’t exist, walking or trekking from one village to another is a daily life activity. Nepal offers a visitor an opportunity not only to admire the fabulous landscapes and the snow-capped Himalayas but also to observe it’s culturally and traditionally rich villages and valleys and get breathtaking experiences while on an elephant safari in the jungles of the Terai.